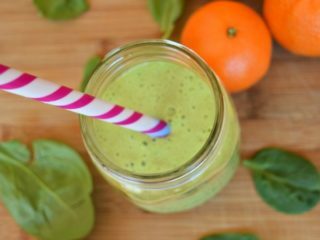 I came up with this tropical green smoothie recipe when I wanted a change from our trusty standby, strawberry banana green smoothie. This smoothie is great because it utilizes both fresh and frozen fruit. It brings a completely different flavor and hides the spinach taste nicely. The combination of mandarin orange and pineapple is perfect for closing your eyes and pretending you’re on a beach somewhere. At least, that’s what I like to do. It also makes great popsicles. I made a big batch of this smoothie and froze the leftovers into fruit pops for my kids. They didn’t even notice we were missing the added sugar of traditional popsicles. 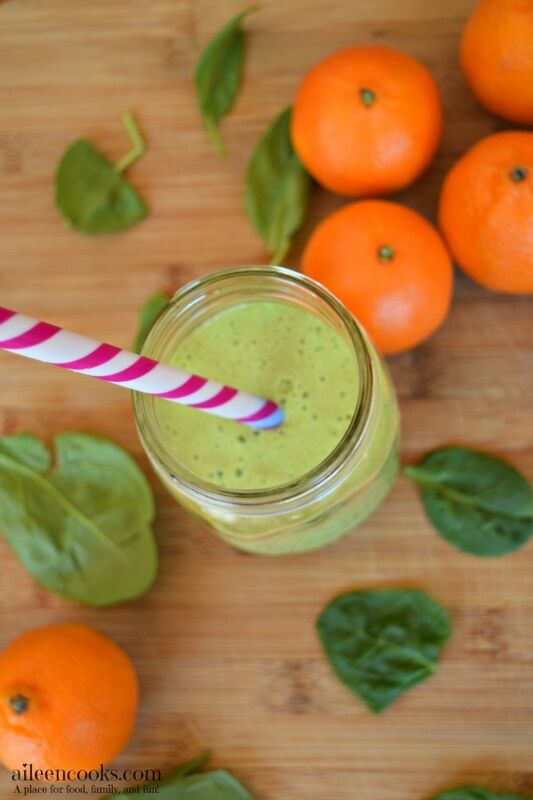 To make the tropical green smoothie, you will want to let it blend for a little longer than normal, to ensure the mandarin oranges are completely pureed. 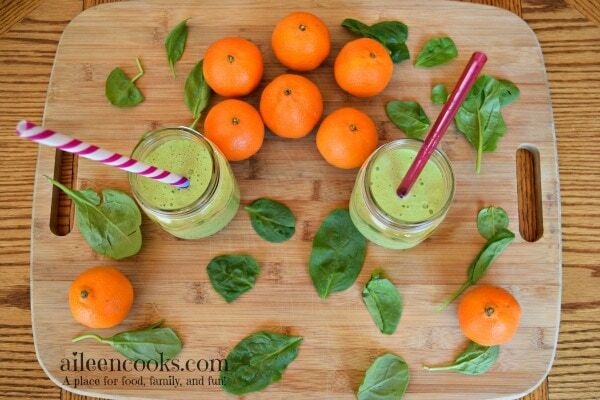 A delicious smoothie made with spinach, pineapple, and mandarin orange. In the cup of your blender, combine the baby spinach and milk. Puree until smooth. Add the mandarin oranges and pineapple and blend again until smooth. Enjoy immediately or freeze into popsicles. Yum looks great! We’ve been doing basic fruit smoothies a lot lately!